I'm working on a project for school where I'm collecting thoughts and quotes from many of the books I've been reading over the past 3 years (probably more like 6 or 7) as an integration of all that I've learned in seminary. 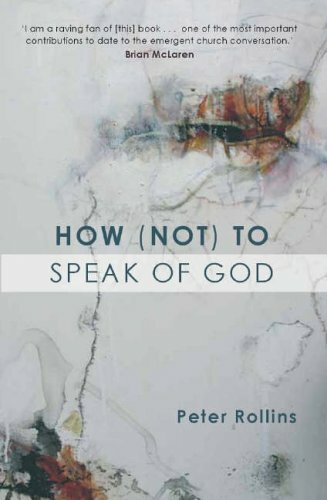 As I was looking through the book "How (Not) to Speak of God" by the brilliant Irish philosopher Peter Rollins, I was reminded of this enlightening quote and thought I would share it with you. These thoughts seem especially relevant in the midst of our current economic climate. Enjoy! "For too long the Church has been seen as an oasis in the desert--offering water to those who are thirsty. In contrast, the emerging community appears more as a desert in the oasis of life, offering silence, space and desolation amidst the sickly nourishment of Western capitalism. It is in this desert, as we wander together as nomads, that God is to be found. For it is here that we are nourished by our hunger."